When you hear the name Corona, what do you imagine? Beachgoers clinking bottles, each one with a singular lime on the lip of their drink or maybe football fans, donning their team’s jerseys and face paint, chugging after a touchdown is scored? 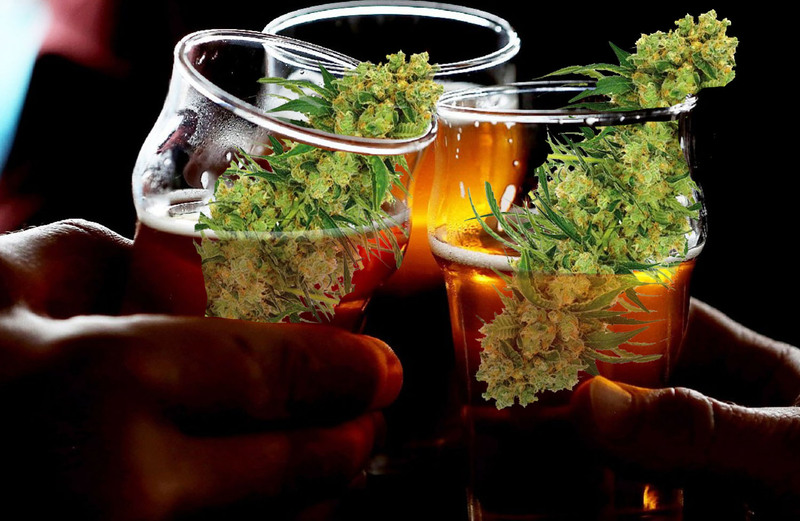 What about relaxing after a long day with a tall, cold one that, starting very soon, could be infused with cannabis? Walk, don’t run, because Constellation Brands, INC, (STZ) the company behind Corona beer, intends on making this a reality. In October of last year, Constellation (STZ) dropped $2 billion on Canadian medical marijuana company Canopy Growth (CGC), amounting to a 9.9% minority stake. According to CNN reports, at the time of investment, the stake was worth roughly $191 million. Canopy Growth (CGC) is currently the largest publicly traded marijuana company in the world. Since November 2017, their shares have soared more than 285%. As a result of this growth, Constellation Brands, INC (STZ) announced today that they would like to invest an additional $4 Billion in the Canadian cannabis producer. If Constellation moves forward with this investment plan, they will own 38% of Canopy Growth. According to Fortune magazine, Canopy was the first marijuana company in Canada to reach a $5 billion dollar evaluation. This very large investment is predicated on the notion that Constellation hopes to distribute cannabis-infused beverages, most likely using the Corona brand. On Thursday, Canopy (CGC) CEO Bruce Linton spoke at the Marijuana Business Daily International conference in Toronto, touching on the future of the cannabis industry and how his company intends to be a key player in that future. The alcoholic beverage conglomerate has yet to speak on whether they have the intention to distribute these cannabis-infused products in the US, or any other country for that matter, most likely waiting on more nations to follow Canada in the legalization of cannabis. Last June, Canadian Prime Minister Justin Trudeau announced that parliament would vote on legalizing recreational marijuana and the vote passed with ‘high’-flying colors. The policy, known as Bill C-45 or the Cannabis Act, will officially take effect October 17, 2017. In this last year, we’ve seen a dramatic shift in large company opinion surrounding investing in cannabis and its medicinal/recreational use cases. Like its beer brewing counterparts like Corona, Heineken-owned (HKHFF) Lagunitas Brewing has been working on cannabis-infused brews. The future of the beverage industry’s hot-and-heavy relationship with cannabis producers is still a bit hazy. Bruce Linton, Canopy CEO insists that we must work on “how we migrate people from an illegal activity to the legal action and how we take a prohibitive ingredient and turn it into something compelling.” Linton also believes that cannabis consumers will shift their focus away from the popular method of “lighting up,” and more towards “ingestibles,” subsequently decreasing the sales of flowers in stores. If consumers decide to get lifted from a frosty, cold beverage, we may have to reimagine what we see when we hear someone ask us if we’d like to grab a beer. It’s interesting, really, that as countries eventually legalize the recreational use of marijuana, we may see its traditional recreational methods of consumption change dramatically.